Have been glued to my computer. Mostly various work projects, and there are some interesting things about our book on World War 1. The children may not be learned historians, to put it mildly, but their tale of the flea circus owner who went to war is enchanting, and it's found a wonderful illustrator in Russell M. Olson, who does cartoons and graphic novels. T dragged me away from the computer, though, for a walk on Hampstead Heath which looked amazing in some recent misty weather. I've been reading about the Heath's history, and how, in the 19th century, the Lord of the Manor, Lord Maryon Wilson, wanted to develop the land for housing. There was a lot of local opposition, but it was his land, he reasoned, and so he didn't care. To be honest, Bad Lord Maryon Wilson does not sound like my cup of tea at all. Or anyone's, probably. In anticipation of winning, he started building avenues and bridges for the villas he planned to construct.. He also planted lots of non native trees on the Heath to destroy the "natural history" arguments for preserving it. He hoped sand and gravel workings would ruin the landscape value and make it possible to concrete it over. But public opinion foiled him, tee hee! He was prevented from building his villas, and the open space was saved for the public. And over a hundred years later, his unusual trees, man made valleys and small lakes just make Hampstead Heath seem more picturesque. The present Lord Maryon Wilson - Good Lord Maryon Wilson, I call him - owns our 3 acre back garden, and the freeholds of many local properties, since his manorial lands extend for some distance around the Heath. We are grateful to him. 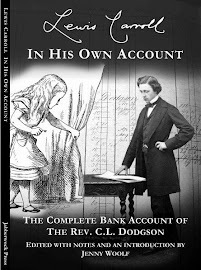 His estate office is a really helpful backup to our own running of the garden, and he is reasonable, constructive, and does not seek to make unfair profits. which is different in all seasons. Today it glowed a strange blue colour, which I have never seen before. 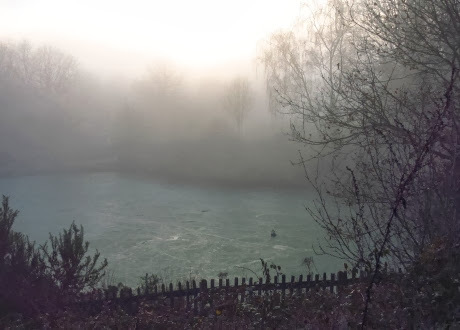 Either it was radioactive, or more likely it was the effect of the mist on algae. Down in the holllows, dead plants were fabulously jewelled with moisture.. The temperature began to drop....but what was this? A cosy little cottage? Actually the sweetest little Edwardian public loo. Like the rest of the Heath, it is now administered by the City, which is the financial district of London. (Why? No idea. I haven't read that bit up yet). The bankers have not cherished this vintage convenience, but it is carefully designed, with white and brown ceramic tiles, rustic wooden doors and a white boarded and whitewashed interior. Stopped at the top of the hill to look over the Vale of Health positively glowing in the late light, and to London, beyond, then headed back across to our own little bit of Lord Maryon Wilson's estate. We didn't go directly home, but had a wander around to admire the exceptionally gorgeous sunset. 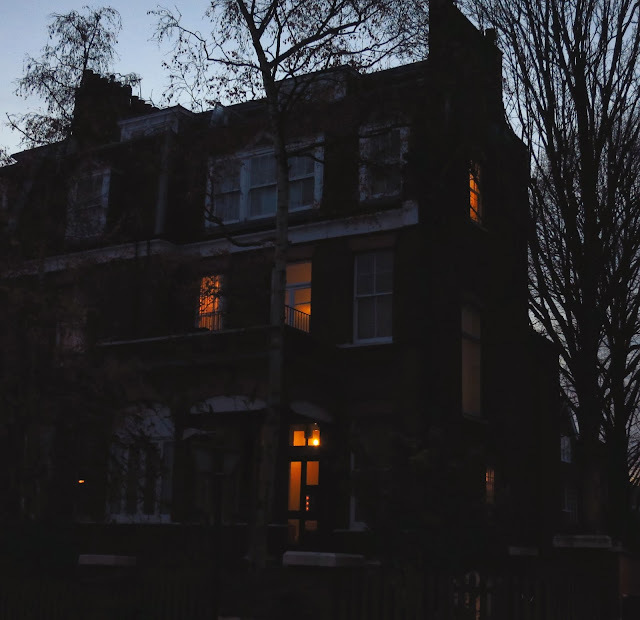 The last picture (below) somehow reminds me of the work of Atkinson Grimshaw, who often portrayed bare trees against a twilit sky, and lamps glimmering from the rooms of old houses. 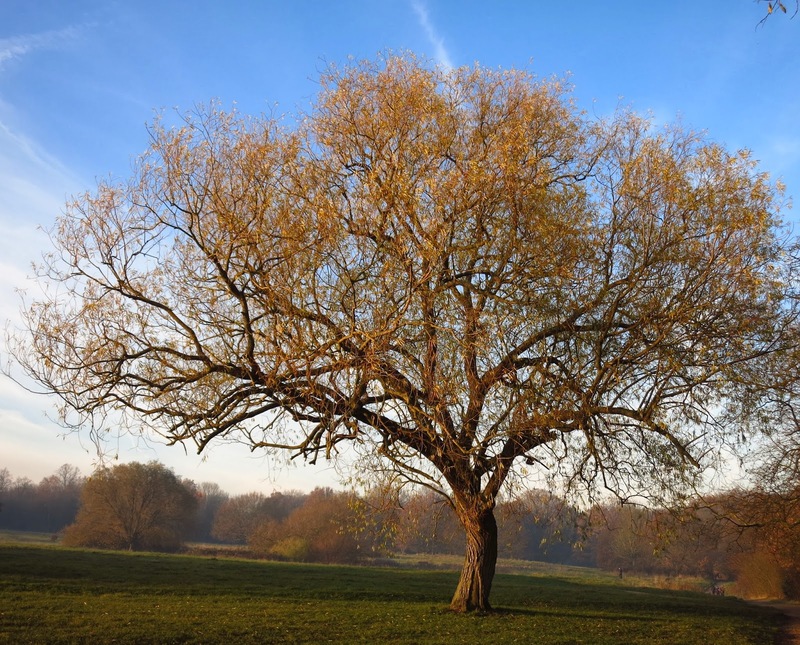 I enjoyed my vicarious visit to the Heath and your superb photographs. Thank goodness for the good Lord Maryon Wilson too. 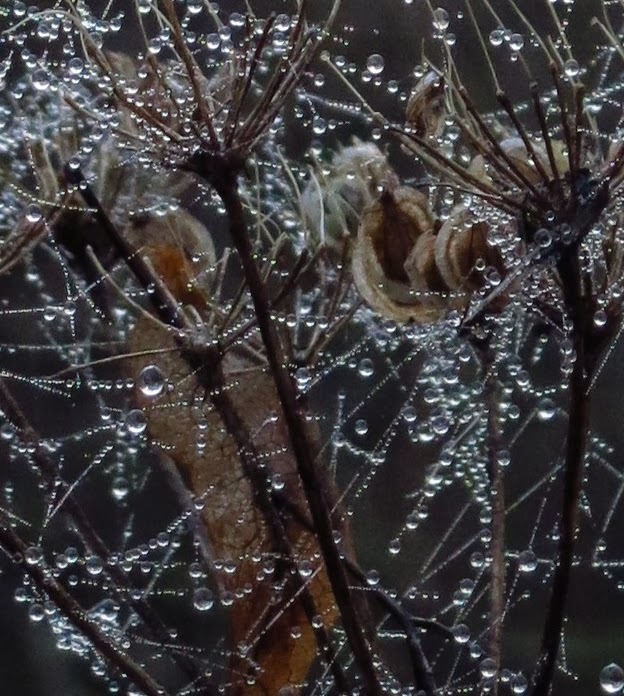 Absolutely stunning pictures Jenny. I feel as though I was there with you on that walk. Spectacular scenery. The mist made for some beautiful shots. So interesting to read about the good vs. bad Lord of the Manor. Great pictures that make me feel I took the walk with you just before the holidays. Lovely area and thank you for capturing it so well! Hampstead Heath is fabulous. I used to walk around it often when I lived in London. 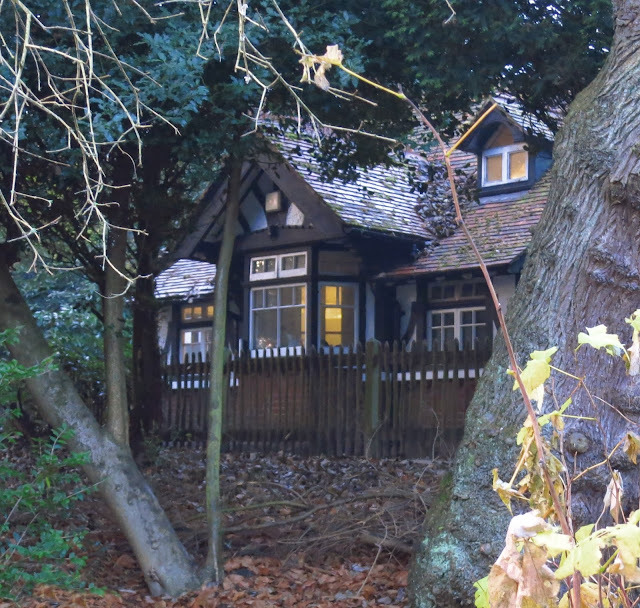 I didn't know the story about Lord Maryon Wilson and all the changes he made to the Heath. Very glad it was saved from development. I also like the fact that it still has a women's swimming pool. I've never really explored Hampstead Heath, though I know it's a lovely place. Thanks for showing us around! The bad Lord has given you all a wonderful landscape to enjoy - although not his intention. Yes, there are definitely touches of Atkinson Grimshaw in your very atmospheric photos. 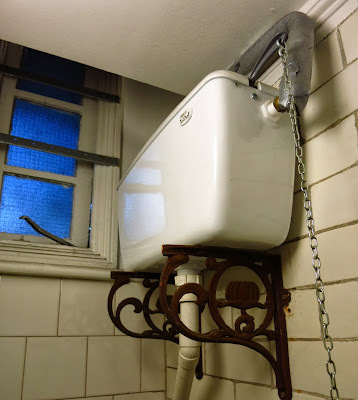 When my sons were small their granny would ask them if they had pulled the chain and washed their hands when visiting the loo. They never knew what she was talking about as they had only ever seen loos with handles. Beautiful post and photographs. The misty pathway with the trees and people feels like it wants a novel to be written. You captured the sunset shots beautifully. I'm not sure I've ever been to Hampstead Heath, now I feel I've missed out. Just love these. I have many happy memeries of the Heath, including at this time of the year. Your photos brought them flooding back. Thank you! Oh this is post is exactly what I adore so much about you posting here! You bring such beauty and style, and information and facts and stories that I otherwise would never see or know! Incredible photos, all of them. I'd love to stroll and tour any one of them. Roof top and city street photos like these are some of my favorites spots to see! 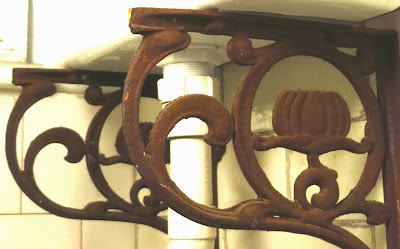 I love when they keep up the maintenance of our history, even bathrooms. Hope they do some renovations to it soon. Great photos from your part of the world. Love each one of them! 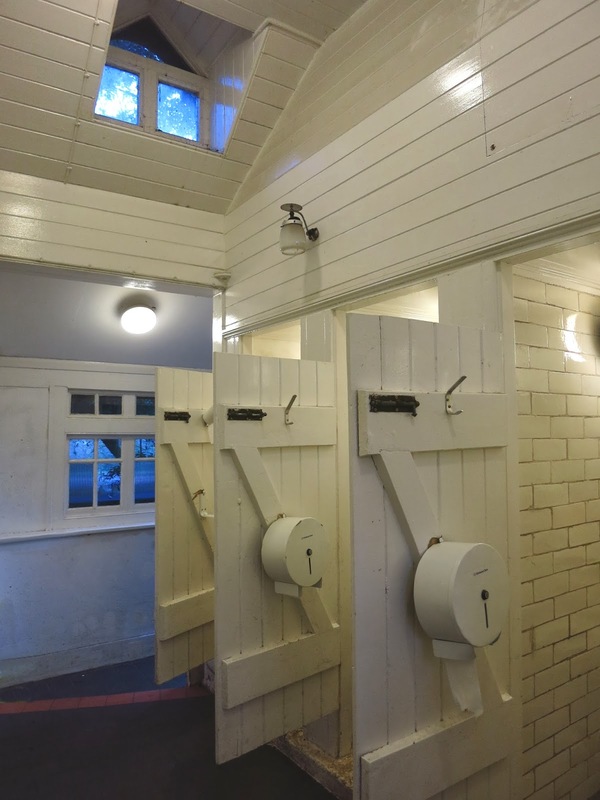 What lovely pictures - and I'm glad you included the loos (where would we be without them ...). I don't know a travel writer who hasn't got a tale or two about toilets! 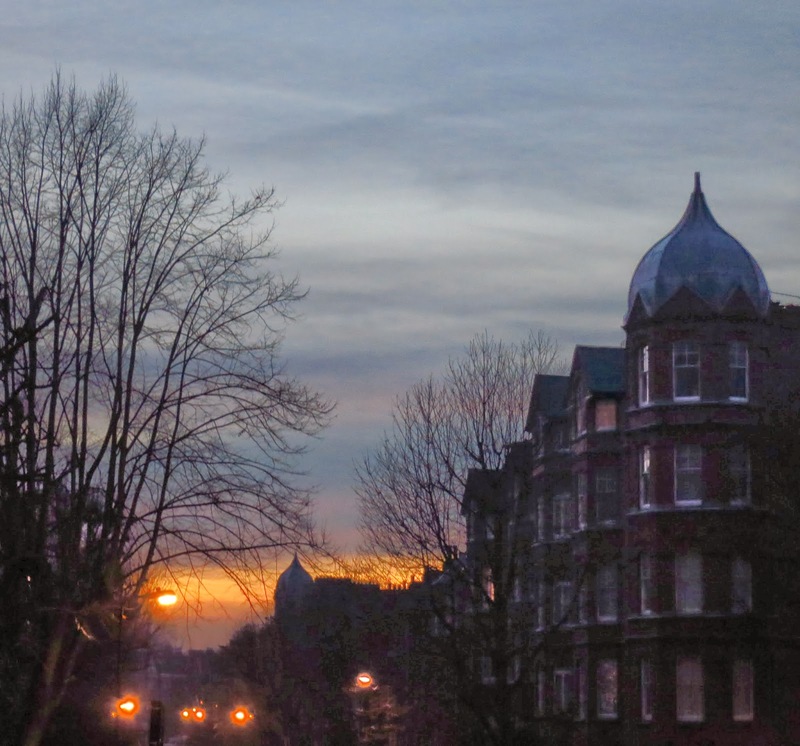 That shot over the Vale of Health would make a super Christmas card, while your whole post and ensemble of photographs made me nostalgic for those winter afternoons in London when I lived in Highgate. 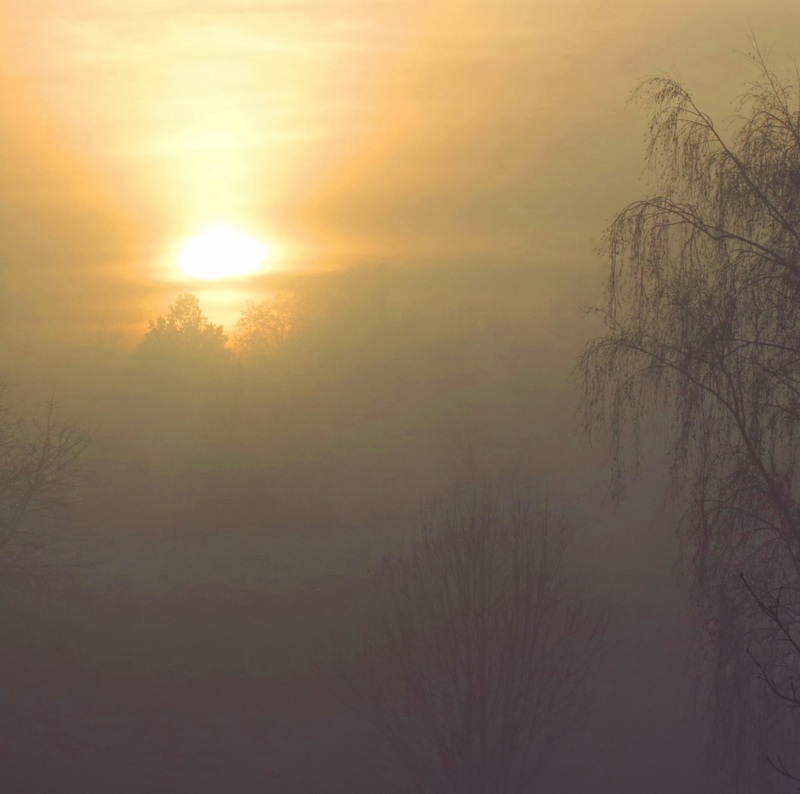 The mist or fog lends itself to beautiful photographs. 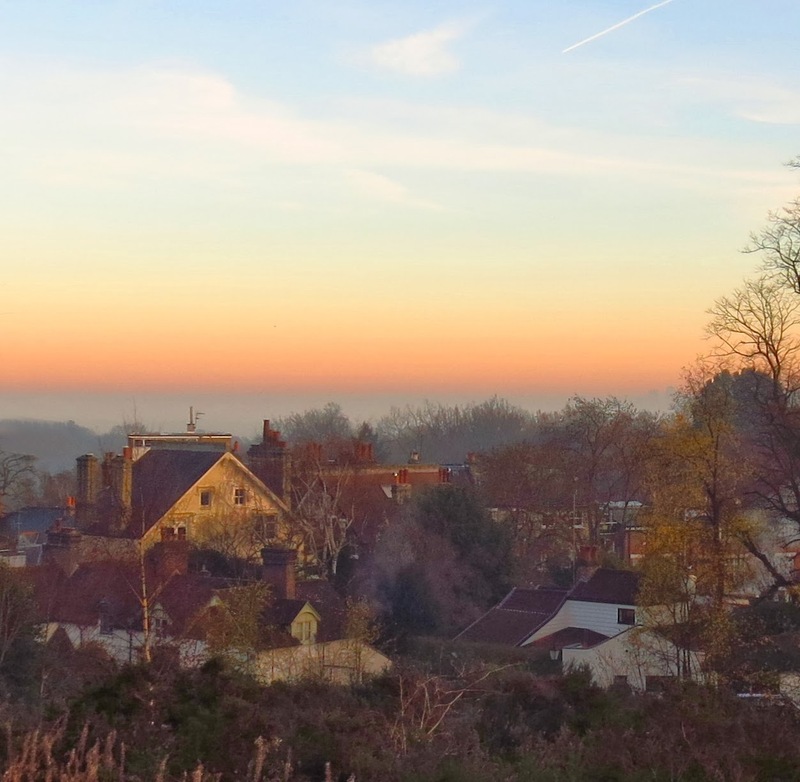 I have never visited Hamstead Heath and had no idea it was so lovely. I wouldn't mind living in that cottage... sigh. Just as I finished writing my comment, something weird happened to my computer and I lost it - - so I'll try again. It's funny when you mentioned that one of the photos reminded you of a John Atkinson Grimshaw painting, because that's exactly what I thought! Several of the photos reminded me of Grimshaw paintings. The mist weather may not be nice to live in, but it does ad a lot of nice effects to the photographs. I do so love sunsets! But nearly all the pictures in this post have something magical about them. I wish our public loos were so pretty! Although I doubt they'd stay like that for long. Hampstead Heath is one of the gems of London. I hadn't heard about the orginal housing plans. Thank goodness that didn't happen. Your pictures are so lovely. All the way through I thought "just like a painting." Good for Bad Lord MW; he overreached himself quite nicely, and left if for posterity. As for the loo, I'm sure folks are just grateful it's there. They'll be sending people off to see Good Lord MW's works, not the loo. Thank you so much for taking me through Hampstead Heath. My own mini-vacation! Your pictures and words make it all come to life. So enjoyed the tour, the history and the atmospheric photos. And I, for one, certainly do appreciate a good, clean, conveniently placed loo! What a wonderful, atmospheric wander around Jenny!! with a pit-stop no less (sympathetically restored or no) it was fabulous! I felt that I had stepped back in time throughout the whole wander. Even a loo can be done nicely, and preserved well. And your beautiful pictures have inspired me to go take a walk as the sun sets. 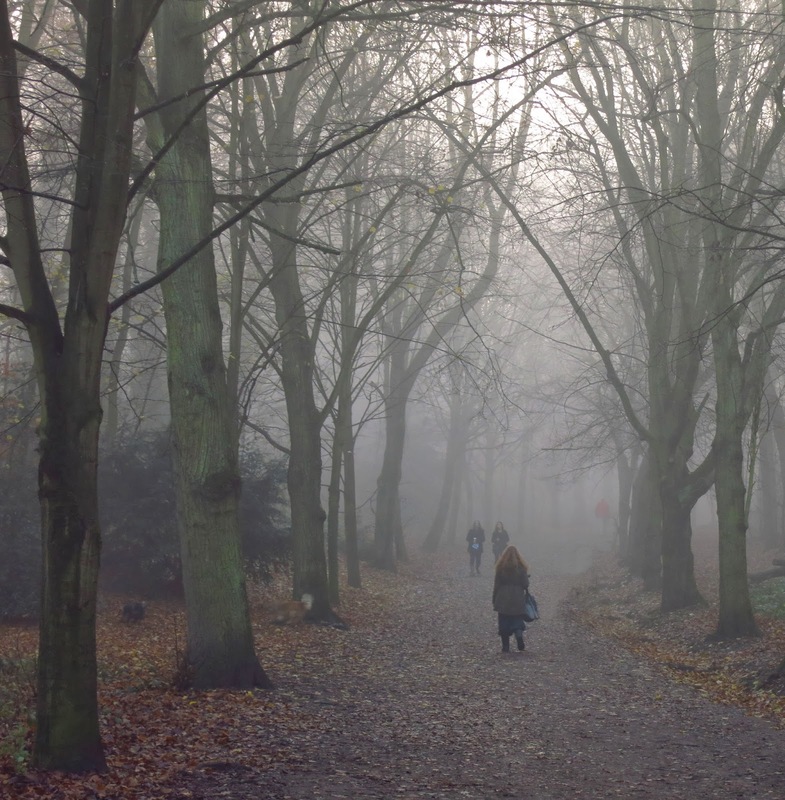 Lovely and interesting photos of Hampstead Heath. I have never been there but of course it is mentioned frequently in literature and the media, and now I would really love to go. The pretty cottage for the loos does indeed merit a sympathetic renovation, hopefully one which does due justice to those gorgeous art nouveau brackets. Great post, Jenny. There's something about fog and mist that makes a photographer's heart go pitter patter! You pictures are really beautiful - and they made me feel as if I was along on your walk. Thanks! As so often, Jenny, your photos have a magical quality that turns them from mere photos into works of art. Which, I suspect, is why several of them are reminiscent of JAG's work. Oddly when I saw some I knew they reminded me of 'him' but I couldn't remember his name for the life of me. I've now made a very firm note. Marilyn, I have just realised that my feed isn't giving me your blog any more, so I have paid a visit - interesting as usual. Thank you for the nice comments, and for a few that people have directly emailed to me via the contact form - so pleased that the photos "connect." Meike, these public loos are really quite unusual. I wish the Heath and Old Hampstead Society would make a project of getting them properly restored. 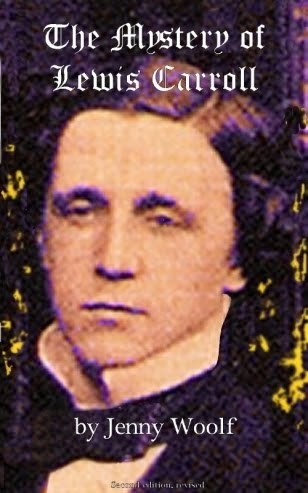 I thought of you when mentioning Atkinston Grimshaw, Jon - I remember you saying you liked him. I do too. Helen, and Bonnie, thank you. One of the things in my mind was to evoke that special feeling of a winter day in london and I am glad that it worked for you. Maywyn, that particular avenue of trees always seems to create an atmosphere of promise, as if it is leading on to something else - I'm glad you picked that up from the picture. Rosemary, I smiled at your comment about pulling the chain. My grandmother and her sisters did not ever modernise their house so I grew up thinking that a low level flush was somehow incredibly modern, even though their house was the only one where you actually had to "pull the chain"!! 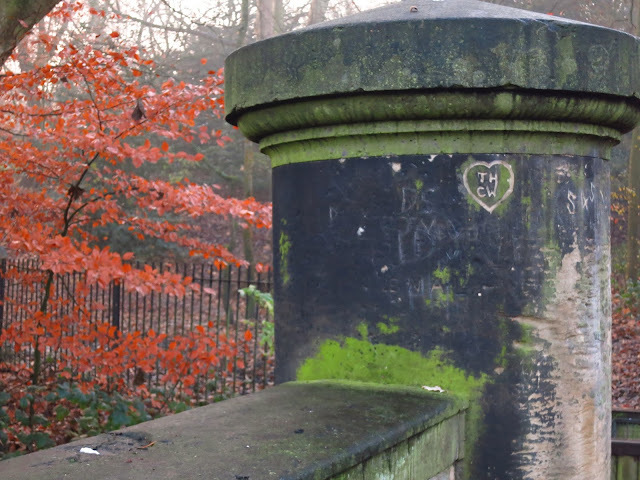 Nick, ages ago I did a post about the ladies' pond in Hampstead Heath. I didn't take any photos to illustrate it, though, as they are rather protective of their privacy there. My dear friend, a beautiful ride full of mystery, I like the pictures ... I think it was a success to. I wish you a Merry Christmas, a big hug, friend. What super photos Jenny! The mist does enhance the area but I am filled with jealousy at the pics! 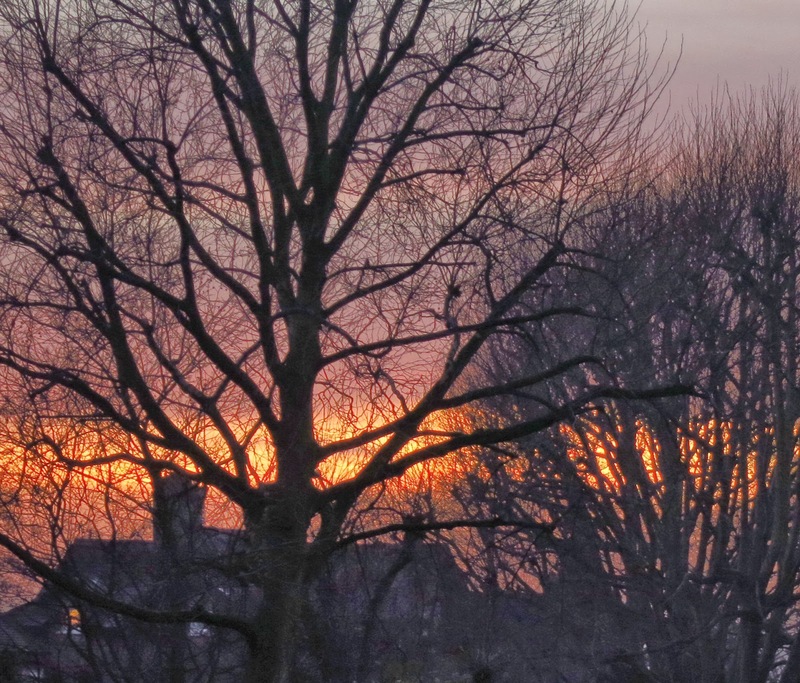 how fab to live so close to the heath...must go for a walk there very soon!! Wow! What a fantastic set of photos and wonderful stories too! I love the photo of the blue green lake. I don't feel you're being overly sympathetic about the loos. They could be so beautiful if authentically restored. Wonderful photos; wonderful post; thanks for allowing me to join you in a very enjoyable stroll. I'm not fond of public toilets, however, but that's a mere, minor bagatelle! It is a wonder, though, that someone hasn't grab a can of cream paint, a brush and painted those brackets to meld in with the rest of the colour scheme! Such wonderful photos!! Each one has so many stories. Thank you for your friendship this year too. So glad it didn't get built on! I'm actually speechless over your photos. They are stunning. One of the reasons why I love the British landscape is the sheer variety of it. Many thanks. Oh wow, I just LOVE that first path scene, what a great book cover that would make too. Gorgeous photos. 'Tis a wonderful presentation, as usual. Jenny, great photos of Heath! I love them all especially of the lake (I firstly thought it was grass), and the foggy sunset. I have never would been able to guess this cottage could be a toilet, looks prettily. Your photos are inspiring me to grab my dogs and camera and head out for a walk! Thanks for your visit today and so glad I stopped by your blog! 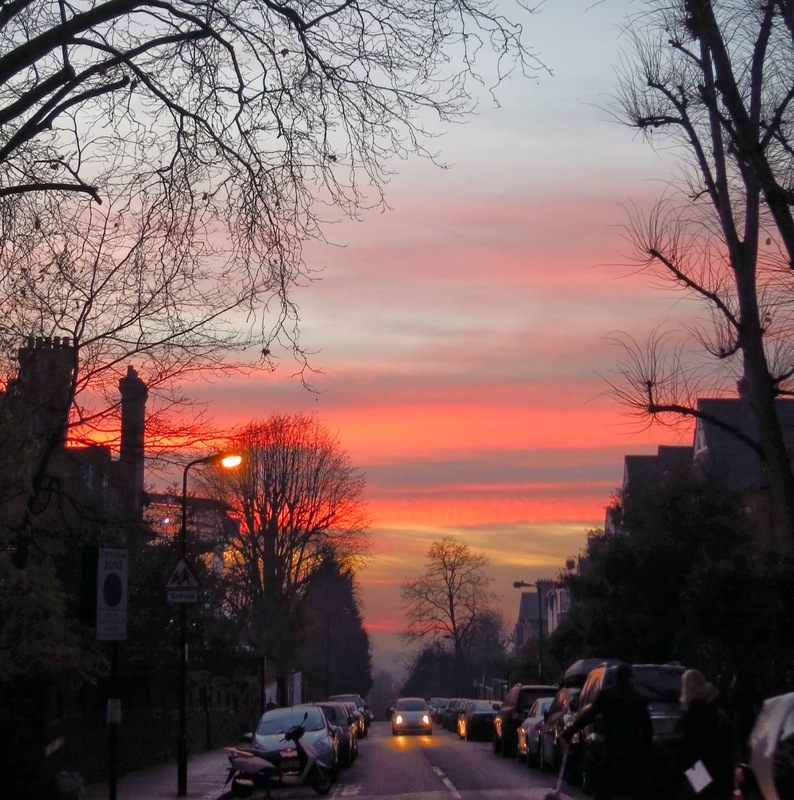 As a one-time resident of Maresfield Gardens in Hampstead (1980s) who used to fly his kite on Sundays on Parliament Hill, those photos struck huge chords of deja vu for me! 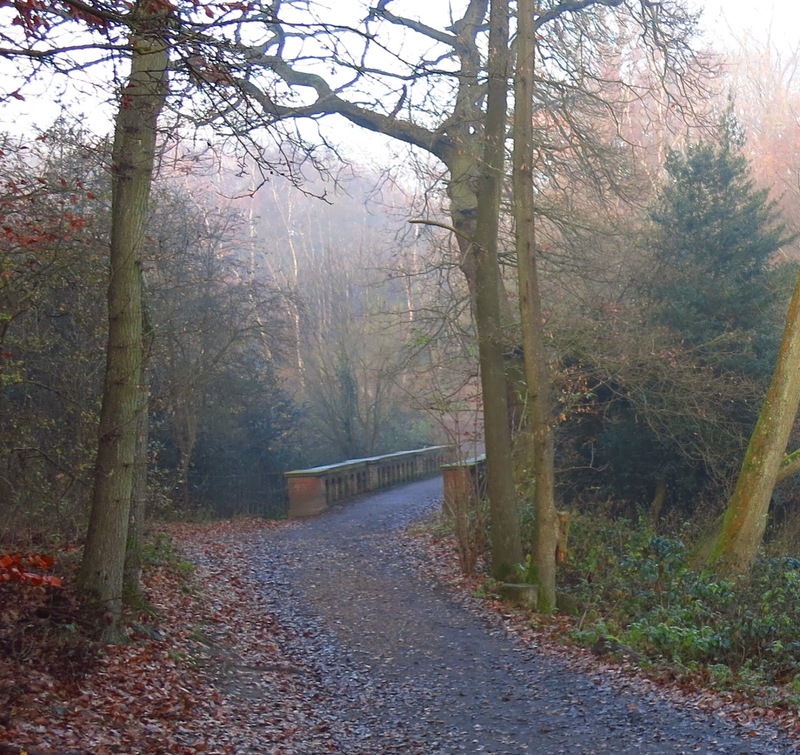 What a lovely stroll you had there, even in the cold weather! Thank goodness the is the Good Lord Mayor after the Bad one.